MONDAY, Dec. 17, 2018 (HealthDay News) -- A study of more than 74,000 French women has turned up an unexpected finding: Those who suffer from migraines have a significantly lower risk for type 2 diabetes. The finding is based on surveys sent to thousands of women born between 1925 and 1950. The study found that -- after adjusting for body weight and other health factors -- women who said they had migraines had a 30 percent lower risk of type 2 diabetes, the leading form of the blood sugar disease. The finding is surprising because migraine has "been associated with insulin resistance," the metabolic condition that underlies type 2 diabetes, said a team led by Guy Fagherazzi of the National Institute of Health and Medical Research in Villejuif, France. The team's findings were published online Dec. 17 in JAMA Neurology. 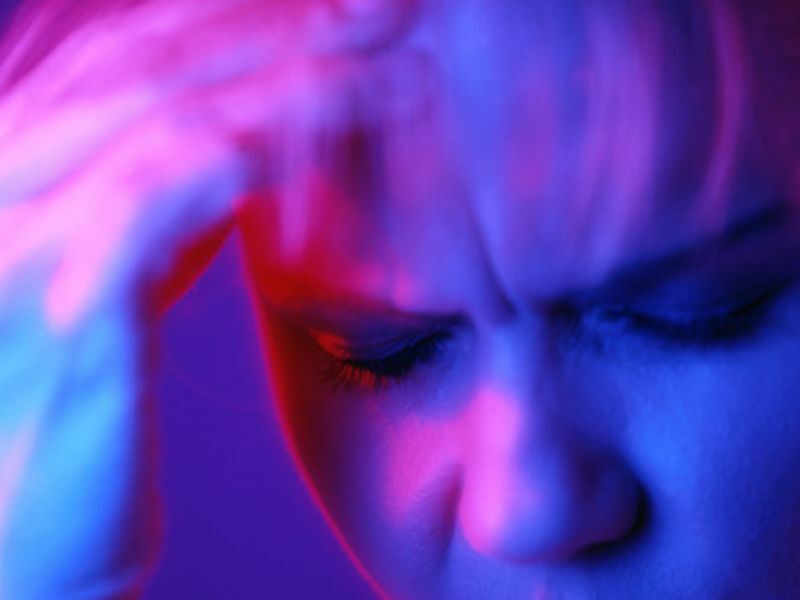 According to the researchers, up to 18 percent of people are affected by migraine, with young, premenopausal women most prone to the severe headaches. The new study found that migraine incidence seemed to decline in the years before the onset of type 2 diabetes, and after such diagnoses incidence "plateaued" at just 11 percent. Just how might the two diseases be connected? Two U.S. experts weren't sure. Dr. Noah Rosen directs the Northwell Health Headache Center in Great Neck, N.Y. He stressed that the study is retrospective in nature and therefore cannot show that one disease actually helps cause or protect against the other. The study accounted for body weight as a potential factor, but Rosen wondered if eating habits might play a role. "People with migraine often have an interesting relationship with food -- some find certain foods a trigger, many skip meals or experience dehydration," he noted, so that might help lower diabetes risk. "More work needs to be done in the area," Rosen said. Dr. Gerald Bernstein is program coordinator at the Friedman Diabetes Institute at Lenox Hill Hospital in New York City. He agree that, despite the French findings, "right now there is no clear physiologic association that has been identified" linking the two diseases. "Certainly, the stress of a migraine could cause the blood sugar to rise in people with diabetes but that's as far as it goes," Bernstein said. Drs. Amy Gelfand and Elizabeth Loder, of the University of California, San Francisco, and Harvard Medical School, respectively, wrote an accompanying journal editorial. They pointed out that the diabetes-migraine relationship has been noted by doctors before. "Headache practitioners have long discussed the rarity of patients with type 2 diabetes in headache clinics," the two migraine specialists wrote. Gelfand and Loder theorized that the high blood sugar that comes with diabetes might dampen the production of a specific brain protein that's long been associated with migraine -- but this link remains unproven.